Did you see this Eastlake High School Class of 2019 beauty in 425 Magazine? Grace might be the epitome of chic. 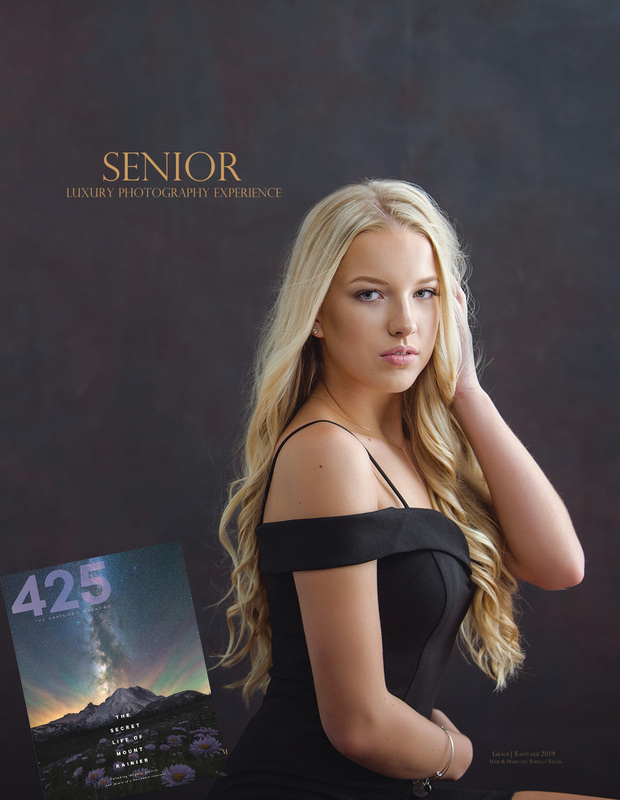 We adore this Eastlake High stunner so much that we just had to feature her in the June edition of 425 Magazine! Wouldn't you agree that she's just a dream!? For all of your Class of 2019 Juniors, don't forget that our Summer Senior Portraits fill up quickly, so be sure to book your spot. We cannot wait to create some magic with you! Interested in more Senior Pictures inspiration, here's a quick link to StudioBseniors.com Portfolio. Special shout out to our fabulous style partner Sorella Salon for Grace's camera ready hair and makeup!